Q1. What do I need to know about rehabilitation and habilitation services and devices? A. Health plans available through the Marketplace must offer rehabilitation and habilitation services and devices as essential health benefits. These services speed your recovery after an illness or injury and reduce the likelihood that you will need to be hospitalized again. They also might help to slow the progression of your disability or enable you to gain new functional or communication skills. They also help to improve your health, strengthen your ability to participate in the community, and maintain function long-term. Equally important, such services can improve the likelihood that you can return to work and maintain a good quality of life. These categories of services and benefits are grouped together here and also in federal law because they are interdependent and might be used at the same time to ensure recovery or to meet a specific clinical or functional goal. For example, an occupational therapist might help a person who wishes to learn a new way of dressing because they have a new wheelchair with arm rests that are harder to grip than those on the older chair. At the same time, the person could be working with a physical therapist to maintain upper mobility functions in muscles that were overused with the older chair, thereby prompting the need for a new chair. Rehabilitation and habilitation devices and services often complement one another as components in a comprehensive treatment plan. Q2. What are examples of rehabilitation services? A. Rehabilitation typically includes services you might need to regain function after an injury or illness and include acute clinical care in the hospital or treatment in a rehabilitation hospital or residential rehabilitation facility. Services might also include treatment you might need from a day treatment program, outpatient clinic, other outpatient setting, or that a home health agency provides. Rehabilitation benefits covered by a health plan might also pay your specialist physician to manage your care over time. Examples of covered services you might need include physical, occupational, and speech-language therapy, cognitive therapy, recreational therapy, and psychological and behavioral evaluation. Q3. What are examples of habilitation services? A. Habilitation focuses on helping you or a family member attain, keep or improve skills and functioning for daily living. Examples include therapy for a child who is not walking or talking at the expected age or teaching adults with developmental disabilities the fine motor coordination required to groom and dress themselves. Habilitation services include physical, occupational, and speech-language therapy, various treatments related to pain management, and audiology and other services that are offered in both hospital and outpatient locations. The benefits of these therapies can include, for example, improved socialization skills, which reduces developmental delays for children with developmental disabilities. Adults and older people with certain disabilities can also benefit, for example, from therapies that prevent muscle loss and thus mobility, or that increase fine motor coordination so that independent living tasks such as dressing and bathing are made easier. Q4. What are examples of devices? A. You or a family member might also need certain equipment so you can benefit from habilitation and/or rehabilitation therapy services or that meet other clinical or functional needs. Examples include walkers, canes, and crutches, glucose monitors and infusion pumps, prosthetics and orthotics, low vision aids, augmentative communication devices, and complex rehabilitation technologies such as motorized wheelchairs and assistive breathing machines. These are devices that you might need to aid in your recovery after an injury or illness, maintain function or prevent its loss, sustain your health or help you gain new skills for independence. Q5. Does health insurance sold through the Marketplace cover rehabilitation, habilitation and devices? A. Although individual and small group health plans sold either inside or outside the Health Insurance Marketplace must offer rehabilitation and habilitation services and devices, the scope of the benefits available will vary from plan to plan. For example, in order to determine what and how many therapy benefits are offered by plans, states have picked as a model a typical plan sold in that state. Plans offered in the Marketplace must provide benefits substantially equal to those provided in their state’s model plan. As you can see from this example, the number of covered therapy visits varies for these four plans. So, if you know that you currently need any of these services or think there is a strong possibility that you might need them in the future, contact member services for the plans you are considering. Ask if they can tell you how many therapy visits the plans cover. (See “Contacting Your Health Plan’s Customer Service Phone Number”). Q6. Can health plans I am considering limit the amount of money they can spend on rehabilitation and habilitation services and devices I might need? A. Federal law prevents health plans from limiting the amount of money they spend every year or in total on health benefits. However, plans are allowed to substitute benefits within a category, place visit limits on the benefits, such as those for therapy visits described above, and use other ways to control costs. (Even though substitutions within benefit categories are allowed, rehabilitation and habilitation services cannot be substituted for one another because they involve different therapies.) For example, if you or a family member needs in-patient care at a rehabilitation facility, the plan likely will limit the number of days of care available and require that the person who is receiving care meet certain standards such as being able to participate in therapies a certain number of hours per day. For these reasons, you should call member services for the plans you are considering and ask if they cover benefits that are most important to you. Also ask if the plan places visit or other limits on those benefits. (See “Contacting Your Health Plan’s Customer Service Phone Number”). Q7. My spouse, who has arthritis, needs various devices including a new bench for use in the shower and support stockings. Will the plans sold through the Marketplace cover these items? A. While plans sold through the Marketplace are required to cover the broad category of “devices,” the federal government has not defined what specific equipment, sometimes referred to as Durable Medical Equipment (DME) plans must provide. Since the benefits offered by plans sold through the Marketplace are modeled after a typical plan available in each state, that model plan acts as a guide to what Marketplace plans likely will cover. The plans used as models tend to restrict DME coverage to specific categories of items such as wheelchairs, which serve a medically necessary purpose, are intended for repeated use, and are used in the home. Some also restrict coverage to certain items that cannot be purchased without a prescription. Plans therefore likely will exclude items such as shower benches from coverage. Similarly, many plans exclude coverage for various types of disposable supplies such as bandages and incontinence supplies. Plans might also distinguish between essential and non-essential items. For example, support stockings will likely be excluded when they are being used for comfort, but some plans might cover them when they are used after a specific condition, such as blood clots, has been diagnosed. Q8. I need a new prosthetic limb. Will the Marketplace plans pay for the leg? A. Limb prostheses and orthotics such as leg braces are not explicitly included in the required benefits categories of rehabilitation and habilitation services and devices. However, the federal government has stated that insurance plans typically cover limb prostheses and orthotics. These products are also sometimes found listed as durable medical equipment in health plans’ summaries of benefits and coverage. So it is highly likely that you can get a replacement limb from a plan you purchase through the Marketplace. You should be aware, though, that some plans place lifetime or other limits on the number of limbs that are covered or that are available within a specific time frame. It is unclear at this point whether such a lifetime limit would run counter to the prohibition against lifetime or annual caps on essential health benefits. It is also unclear whether a limit on ‘replacement value’ for prostheses, orthotics, or equipment would be considered a lifetime or annual cap. Q9. I require intermittent mental health therapies. 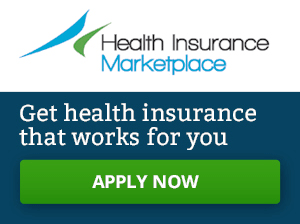 Do Marketplace plans cover these services? Q10. I need information about available therapy benefits and coverage limits for more than one type of medical equipment from plans I am considering purchasing. How can I get this information? Look at the Summary of Benefits and Coverage document that is available on the Marketplace website for every plan being offered. (See Summary of Benefits and Coverage (SBC) Fact Sheet). Call member services and ask if those plans cover the equipment and services, and what are the coverage limits, if any. (See “Contacting Your Health Plan’s Customer Service Phone Number”). Check the Center for Consumer Information & Insurance Oversight (CCIIO) website, for a summary of covered services and benefits for the model plan for your state. Request the Evidence of Coverage document from the plans you are considering. (See Fact Sheet on Getting and Using Health Plan Evidence of Coverage). Q11. I have balance problems and need regular physical therapy to maintain lower body strength and coordination. Can I get more visits than the plan typically pays for? A. Federal law requires that plans design benefits, such as the number of therapy visits, in ways that do not discriminate because of disability. However, because plans are allowed to place limits on certain therapies, some people with disabilities may not be able to get the level of medically necessary therapy services they need to maintain function. The US Department of Health and Human Services (HHS), Office for Civil Rights will likely evaluate this possible problem in the future and determine if action is needed.